Controversies are trailing the recent disengagement of workers by the Nigerian Embassy in Washington. The local staff accused the mission of retaining non-Nigerian employees at the expense of those who are of Nigerian Nationality. In the same vein, workers affected in the retrenchment are also alleging that the decision to lay them off was arbitrary, as the Embassy had no plans to pay their gratuity and other severance benefits. But speaking with journalists, senior officials of the Embassy said that the disengagement of workers followed due process as it was approved by Ministry of Foreign Affairs in Abuja. The officials also pointed that the allegation that there was no prior notice to the disengaged workers was not true, saying they actually agreed to the arrangement since February 2017. 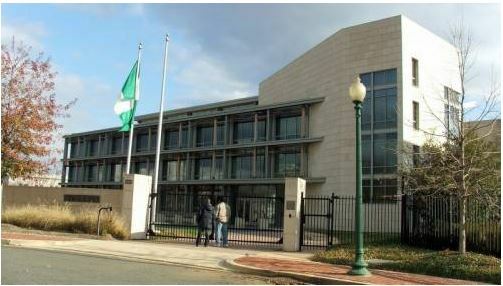 Picture of Nigerian Embassy inWashington. They said the workers were laid off due to some ongoing rationalization of workers at the Embassy. The officials also that plans are ongoing to ensure that sacked workers are paid their entitlement and gratuity, as the foreign affairs ministry has approved payment. 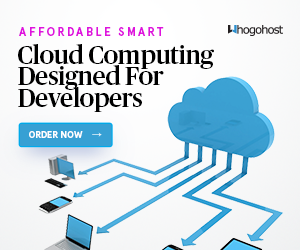 “However, they pleaded to an arrangement to be on contract for another one year, which lapsed in February 2018. The ministry of Abuja approved their disengagement. 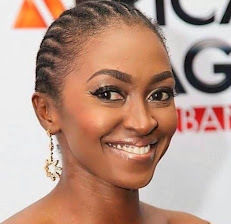 It was gathered that the Mission had several disagreements with the local workers over non-payment of salaries spanning several months in 2017, which saw some workers embarking on work to rule that disrupted consular services before they were paid following approval by Nigeria’s ministry of foreign affairs.